Ibrox Noise: Leeds, Wigan and Bristol all monitoring Rangers players? Leeds, Wigan and Bristol all monitoring Rangers players? As we’ve been discussing on the site for some weeks now, today speculation has intensified over the imminent exits of Jordan Rossiter, Wes Foderingham and Lee Wallace, after RockSport’s Bill Young touched on the trio’s departures, likely on loan. However, following a comment on the site suggesting we’d struggle to find a taker for the deposed number one, we wanted to round up the sides linked with taking these three on board. In Jordan Rossiter’s case, Jack Ross has taken a big interest in loaning the injury-plagued youngster out to Sunderland at the Stadium of Light, added on top of the rumours about Dundee United. Gerrard may have claimed there’s been no interest from the Arabs, but Rossiter will certainly be in demand and we’d be very surprised if no more than just those two get mentioned. Meanwhile Foderingham has been on the radar of quite a few Championship clubs for a while, not least Leeds. The Elland Road side appeared on the horizon after also being linked to Tom Heaton of Burnley, a move which didn’t materialise, while Fods also found himself on Mark Warburton’s radar at the City Ground in Nottingham, which also didn’t materialise of course. 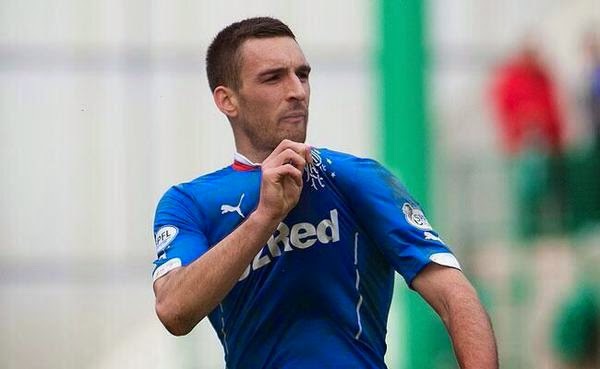 And then there’s Lee Wallace – Bristol City were said to be looking at him, but that one has gone quiet – it’s rumoured his wages are an issue, while Wigan have also been monitoring him after a summer bid didn’t arrive. None of these three seem to be in Gerrard’s plans moving forward, so it would certainly be best for all parties for them to find new clubs. Maybe once, just once, we could actually sell a player for money.